On the twelfth day of Christmas, my true love gave to me-- a phishing email trying to steal my credit card information. It’s important to stay on our toes where cyber security is involved all through the year– and Christmas is no different. For most of us, the holiday season means unwinding with our families, decorating cookies, having a few beers, and generally just relaxing. But for criminals, it’s an opportunity. All those empty offices and unattended computers are gifts just waiting to be unwrapped. While you’re relaxing in front of the TV, criminals could be causing chaos for you at work, having themselves quite the merry little Christmas. 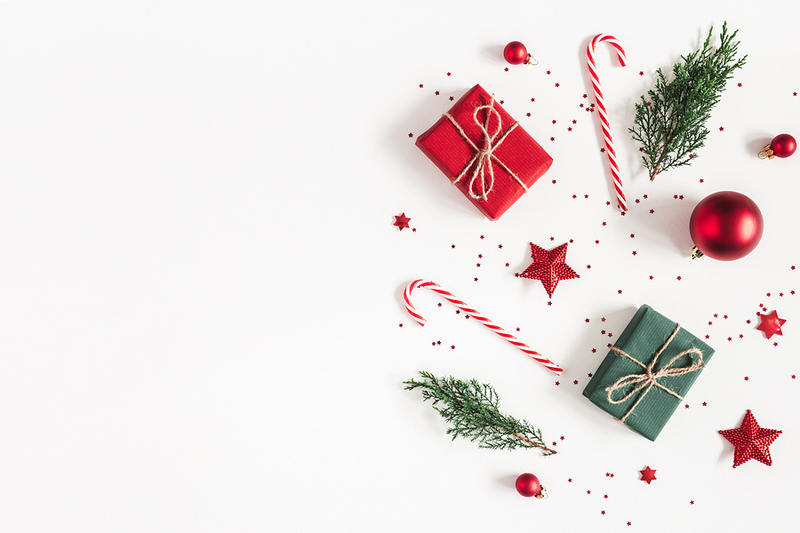 Cyber criminals are aware that this time of year employees will have dozens of packages arriving at their offices and can often lose track of what they’ve ordered. To capitalize on this, they set up fake email addresses and send out emails. If you don’t look closely these emails slide right by without hesitation. Typically, within these malicious emails there is a link that takes the recipient to a replica brand website and asks them for their details, which business employees do without a second glance. Using this method, cybercriminals can easily obtain information and money from consumers and corporate employees. A little advice this Christmas? Carefully check the email including looking at the email address, subject line and content of the email. As these emails are typically sent in bulk, they often miss out small – but crucial – details that allow keen readers to identify that they are fraudulent. Double-check that your anti-virus software is running in the background. Software that includes anti-phishing and firewall protection will minimize the risk of cyber crooks stealing your sensitive data. You might be shopping for that last-minute gift, that you need asap. However, if your browsing through a public Wi-Fi hotspot, chances are your personal data could get snatched by a cyber crook. These public wireless networks are often unsecured and prime targets for hackers. Instead, wait until you get home or in an area with a secure internet connection. As you finish up your holiday shopping, ensure your personal data, like credit card information, is sent securely. The online store you are browsing should display a green padlock in the address bar. If there isn’t a padlock, then check that the website address bar begins with “https” and not “http.” Https connections are encrypted and safe. If you shop at an unsecured website, your private data may soon be at the hands of a cyber-criminal. Unfortunately, 12345 just won’t cut it anymore. Simple passwords are easy to guess- and leave you vulnerable. With cyber criminals increasing activity this holiday season, your personal information can be at risk if you don’t take steps to protect it. Create a more robust passcode, see our previous article detailing all the steps you should take to design a stellar passcode! 7. If it’s too good to be true it probably is! Free iPads, flights, shopping vouchers, tickets and cheap Ray Ban sunglasses all fall into the category of “if it looks too good to be true, it probably is”. Websites such as Amazon, Groupon, or Expedia are great platforms to find bargain deals for that special someone. But among many genuine product reviews are millions of fakes. Be suspicious if too many of the reviews seem similar – it suggests they are being copied and pasted or written by the same person. It should raise a red flag if the reviews are all very new. If you are at all suspicious of the website avoid it. For online shopping purposes, using a credit card is always considered to be a comparatively better option rather than using a debit card. This is especially true during the holiday season. In a case, if someone manages to intercept your financial information online, they can do less damage. Ensure you’re continually checking your accounts; holiday shopping can add lots to your credit card statements. Check your statements for fraudulent charges at least once a week, or set up account alerts. 2. Make data privacy an attitude rather than a one-time checklist. Share with care, and only when totally necessary. 1. If you think you’ve been a victim of a scam – act fast! Call your bank immediately and ask them to try and stop the payment if you’ve fallen victim to a cybercriminal. The sooner you do this the more chance you have of getting your money back and halting additional damage. At LACyber, our team understands the added stressors, as well as joy and potential profits, that accompanies the holiday season. We are here to help you dash through the holidays and tackle your cybersecurity concerns. LACyber is a division of Lincoln Archives providing comprehensive Data Breach Defense Services. Lincoln Archives and LACyber are proud to be a part of Lincoln Family of Companies serving the Western New York Community since 1914. Data Destruction, What is the Big Deal? Ensuring the secure destruction of private data not only gives you piece of mind, but also could potentially save you thousands if not millions of dollars in data breach fines. Can Your Smart Speaker "Hear" You? Millions of people turn to their smart home devices for the weather, music or just a good laugh. But do you ever wonder if your smart device can actually hear whats being said, or where that information might go? Your office network is a complex compilation of interconnected machines which cyber criminals seek to break into. So what part of your office is the most vulnerable to a data breach? Ransomware and Company Closings: Could You be Next? Ransomware is continuing to hit businesses, will more force and impact each year. Malicious software and the infamous effects that accompany it, are starting to effect companies on a larger scale than a simple inconvenience including shutdowns, fines, and years lost. Facebook’s Password Dilemma: Another Security Mishap? Following last September’s massive security breach of user data, it’s becoming more and more challenging to summarize all the misuse of privacy and security fumbles Facebook is held responsible for. Copyright © 1996 - 2019 LACyber and Lincoln Archives Inc.